Every so often, there’s a musical collaboration released that truly defines an era. There’s the 1985 star-studded charity single “We Are The World” — and it’s 2010 counterpart. There’s Boyz II Men and Mariah Carey’s iconic 1995 record-breaking hit “One Sweet Day” and the scores of Disney Channel teens and tweens who came together to record Lion King hit “Circle of Life” in 2003. And then, of course, there’s the forever iconic “Lady Marmalade” from the soundtrack to Moulin Rouge. 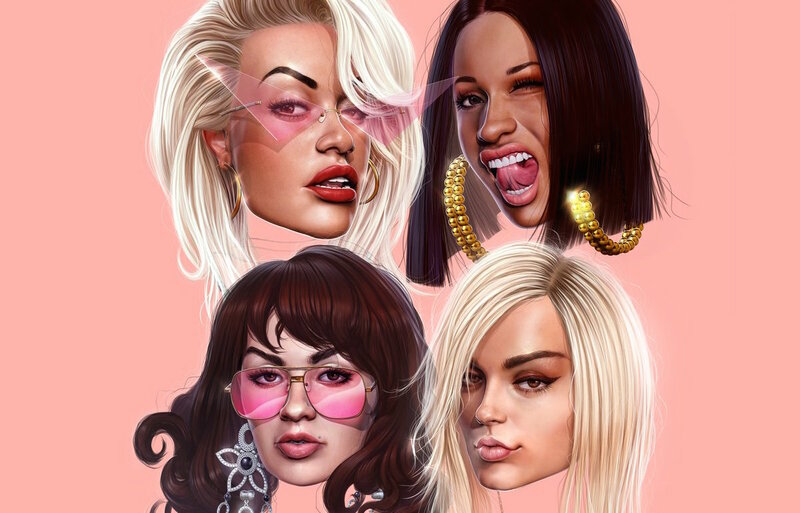 Since 2001, the Christina Aguilera, Pink, Mya, and Lil’ Kim track has been the standard for musical collaborations — but it looks like Rita Ora is looking to challenge that. The “For You” singer is teaming up with some of the hottest names in music for what is sure to be our new summer anthem. Joining Ora on the song — out Friday — are Cardi B, Charli XCX, and Bebe Rexha. Do we really have to wait until Friday for this sure-fire bop? The single announcement comes during a pretty stellar year for the four. After dominating the charts last year with “Bodak Yellow” and “Bartier Cardi,” Cardi released her debut studio album Invasion of Privacy in April. Another breakout artist of 2017, Bebe’s become a go-to collaborator, appearing on tracks with G. Eazy, Louis Tomlinson, Martin Garrix, and most recently, Florida Georgia Line. Her studio debut album, Expectations, is set to be released this summer. Meanwhile, Charli is currently on tour with Taylor Swift. We can’t wait for “Girls” to be released on Friday!